Our Rice & Bean Cups are already pretty incredible. They’re plant-based, vegan meals that are ready in just minutes. Perfect for on-the-go, quick lunches, and even camping trips. Just add hot water or microwave for 60 seconds, wait 6 minutes, and voilà! you have a delicious and flavorful meal. Put an avocado on top of the cilantro lime rice with black beans, and then maybe bring tortillas into the mix for some easy veggie tacos! By adding the avocado, you incorporate some healthy fats to complete a balanced meal with the black beans and rice. The tacos are an added bonus! Top the Spanish style rice with plantain chips to bring some crunch to every bite. Plantain chips, whether lightly salted or plain, bring another layer of flavor to this already delicious combination. Plantains are commonly used in Latin American dishes as a side dish or accompaniment to meals at any time of day. 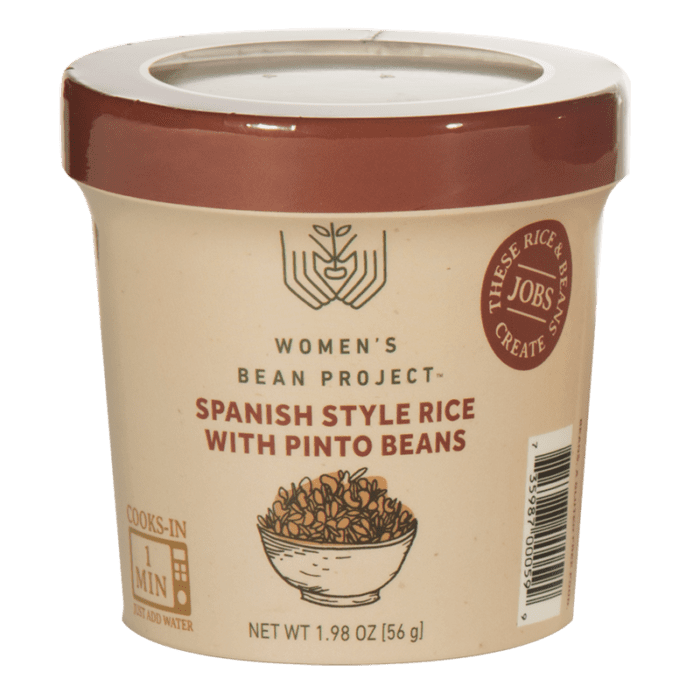 So it’s the perfect way to round out these rice and beans inspired by Latin American flavors! 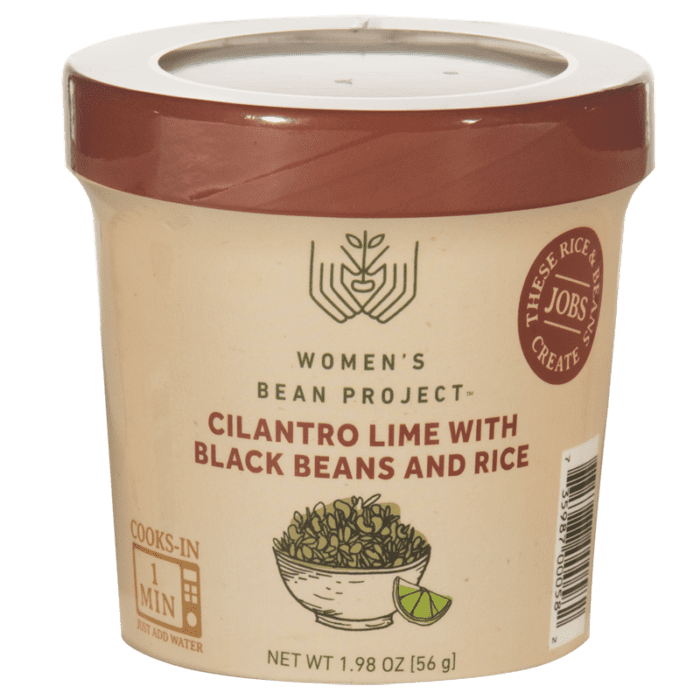 When a Women’s Bean Project staff member shared this variation with the team, it blew our minds. Mix hummus into the lemon dill rice or cilantro lime rice to instantly create a flavorful dip. Grab your favorite chips, veggies or pita and you have created an entire dish! The hummus mixed in adds a great texture, along with more flavor and plant-based protein from the chickpeas. 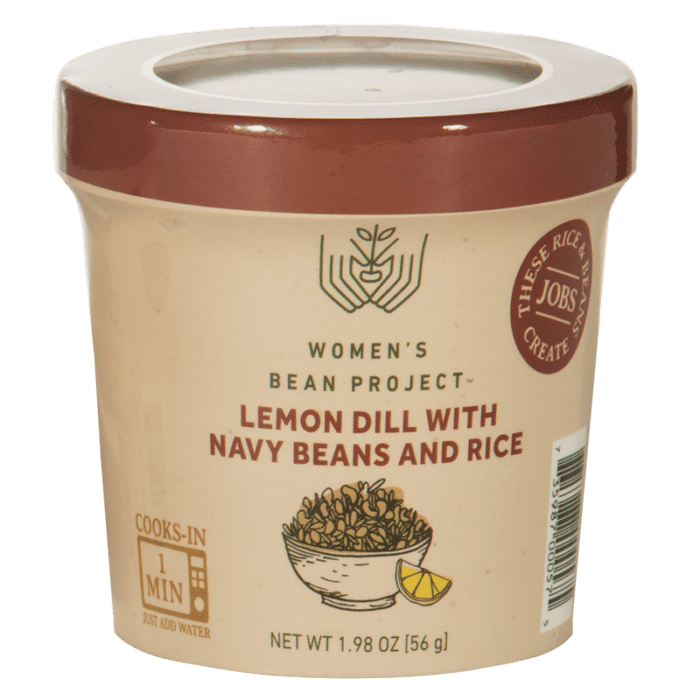 We like it with the lemon and lime flavored rices as the citrus complements the hummus well. What are some ways you have made our Rice & Bean Cups your own? Have you added other awesome ingredients? We want to know – share your ideas in the comments below!